Contractors specializing in Versico Roofing, Commercial Roof Repair, Commercial Roof Construction, and all other Versico Commercial Roofing Services in CT. Call 1-888-766-3020 for a Free Quote. 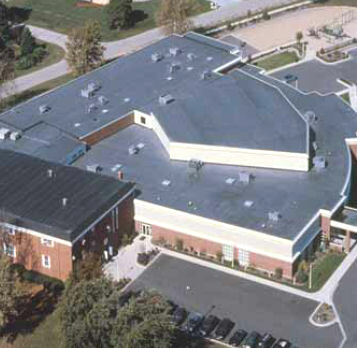 Versico has a wide range of single-ply roofing systems to meet almost any building design. Versico has the ability to solve all of your roofing needs with VersiGard EPDM Roofing Systems, VersiWeld TPO Roofing Systems, and VersiFlex PVC Heat-Weldable Roofing Systems. All systems offer a full line of accessory products and insulation. New Roof Connecticut’s licensed and insured roof contractors have years of quality commercial roofing experience in Hartford, Litchfield, Tolland, New London, Middlesex, New Haven, Fairfield, and Windham County. We service all types of buildings and market segments including commercial offices, government buildings, medical offices, hospitals, schools, banks, industrial buildings, residential homes, commercial buildings, housing associations, and apartment buildings. Call New Roof Connecticut 1-888-766-3020 to learn about our Versico roofing solutions or request a Free Commercial Roof Quote. Versico's VersiWeld membrane is comprised of three layers: a TPO polymer base; a strong, polyester-reinforced fabric center (scrim) and a tough, thermoplastic-polyolefin compounded top ply. Because the top ply is the most vital membrane component for long-term weathering characteristics, Versico manufactures its membranes with an industry leading "thicker" and "smoother" top ply over scrim. The relatively smooth surface produces a total surface fusion weld that creates a consistent, watertight, monolithic roof assembly. Versico’s VersiFlex Membrane is comprised of three layers: a PVC polymer bottom ply; a strong, polyester-reinforced fabric center (scrim) and a tough, thermoplastic PVC-compounded top ply. VersiFlex is specifically designed for long-term performance and is produced with the strictest quality control measures providing end users and owners the most consistent and reliable PVC product on the market today. VersiGard (Black) reinforced membranes available in 45-mil and 60-mil thicknesses, are manufactured with a polyester reinforcement completely encapsulated between two plies of EPDM. Specially developed for Versico’s Mechanically Attached Systems, Metal Retrofit and Fully Adhered Systems, the membrane offers superior fatigue and puncture resistance. VersiGard (White) non-reinforced membrane, in 60-mil thickness is available in 10’ widths and 50’ and 100’ lengths, which helps reduce seams and lower installation costs. It meets ENERGY STAR® guidelines and is environmentally friendly. For more information about Versico Roofing Solutions please visit the Official Versico Roofing Website or contact our Roofing Experts 1-888-766-3020 for more information. 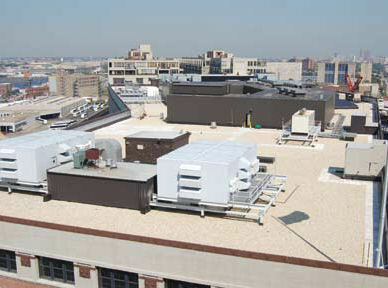 Please also feel free to request a Free Commercial Roof Quote.